Affordable solutions for companies who need to keep their distribution ties to Europe long after the UK has exited the EU. At 11pm on Friday, 29th March 2019, the UK will be leaving the EU. Whilst this decision and the subsequent process of Brexit has been the subject of headlines for over two years now, its impact is felt significantly in the logistics industry. 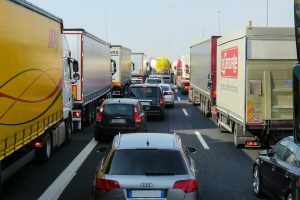 The sector relies heavily on cross-border operations with countries within Europe, so the decision to quit the EU has created much uncertainty for businesses who rely on logistics for the smooth transportation of their goods. What exactly does Brexit mean for those who require deliveries to Europe and what are the solutions? 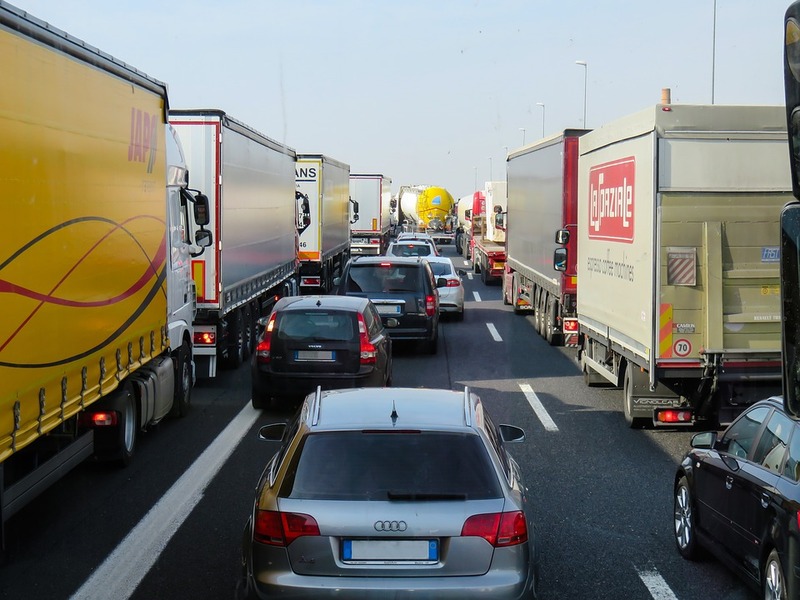 An estimated 10% of the UK’s commercial haulage vehicles are driven by EU workers. One of the bonuses of being part of the EU was the Freedom of Movement policy, which allows EU citizens to live and work in any other EU nation. However, once we have officially left Europe, then a large number of UK truck drivers will be forced to leave the UK. As the logistics industry already has a shortage of drivers, this further loss will be quite a hit. It’s likely that wages will go up in a bid to attract more British drivers to plug the gap. However, the extra money to pay for these drivers will need to come from somewhere and will likely be passed down to customers across the sector. Similarly, another aspect of Brexit that may cost the logistics industry is related to border crossings. Currently, the Schengen agreement largely allows vehicles to pass between borders without checks or being stopped. But when we leave the EU, there will be much tighter controls between the UK and our European neighbours. A fantastic example of this can be seen in the border between Northern Ireland, and the Republic of Ireland which is an EU state. When we exit, this crossing alone is expected to cost businesses billions every year. But of course, where there are perceived problems in the logistics sector, there’s also the potential for solutions. And some logistics companies are working hard to put their customers first, considering how they can bring down the cost of goods transportation within the uncertain economic and political climate. A great option for smaller businesses who need to distribute across Europe is to use part load transport services. These are ideal in a situation where a company doesn’t yet have the requirement to fill an entire vehicle with their order. If you only need to send a few products, then you can take advantage of groupage transport which means that your goods will be sent alongside those from other companies, and you’ll pay only for the space you use within the loaded vehicle. You’ll still be able to offer next day deliveries, or other specific requirements, as well as utilising integrated warehouse and fulfilment services, which ensure that the goods can be dispatched shortly after an order has been placed. While the future of the UK after Brexit is uncertain, as much in the logistics industry as in other areas, small businesses still stand to do well out of the European market, so long as they stick with haulage companies that are forward-thinking and make the best out of the new market. A £12 million building project at the University of Essex campus in Wivenhoe Park, Colchester, is set to house up to 50 high tech businesses at the University’s Knowledge Gateway as part of an ambitious masterplan to eventually see some 2000 people working there. The Innovation Centre, with funding from both the South East Local Enterprise Partnership and Essex County Council, is being built by Kier Construction Eastern who envisage the completion of the 38,000 square feet building by early 2019. The Knowledge Gateway already has a business community of more than 20 small enterprises located at the Parkside Office Village, and this and the new Innovation Centre will help businesses benefit greatly from being based on a campus offering excellent resources and facilities. The university describes the new Innovation Centre as a ‘high tech hot house’ with the accent being very much on providing a modern, well connected and resource-filled business start up environment where fledgling companies can flourish and grow easily through open access to top class support. The university has so far invested £50 million in its 43 acre Knowledge Gateway site since kicking off the project in 2010, and some of their graduates have already found positions with some of the businesses located there. The Innovation Centre, along with the existing buildings, will be a modern styled, thoughtfully designed structure with space around it to provide an efficient and pleasant working environment. Much thought has gone into the general design of the Knowledge Gateway complex generally – it’s a fair bet much effort went into the architecture and a measured building survey may well have figured somewhere along the line. Along with excellent research facilities, not to mention a chance for businesses to attract top class talent from the pool of students and graduates, there are modern campus facilities within a five minute walk and the thriving, modern town of Colchester is right on the doorstep. The university’s £21 million Essex Business School – opened in 2015 – is very close to the new business buildings and offers education options including MBA courses and a large cafe ideal for more informal meet ups. The university’s Knowledge Gateway generally and the Innovation Centre in particular provide space suitable for small, medium and large businesses who choose to design their own bespoke workspace. The university’s design and build team can be consulted to help create the ideal space in the new facility based on the business’s specific requirements. Follow these business startup tips which will mean the difference between surviving and failing that first year of operation. With the number of British startups at an all-time high, it’s more important than ever to achieve business success in your new venture. 660,000 companies launched in 2016, marking an increase of more than 50,000 from the previous year. But with ongoing concerns that 8 out of 10 startups will fail within the first twelve months, how do you make sure your organisation falls within the successful 20%? Incorporate these five essential elements into your strategy to make sure you’re still going strong beyond the first-year anniversary. It’s important to identify the focus of your business from the outset. Whilst some entrepreneurs will have created a brand-new product or piece of tech to solve a typical consumer problem, many successful ventures take an existing business model and simply improve it. You’ll need to conduct thorough research of your competitors, learn what they’re offering and then go one step further to make sure your service or product stands out from the crowd. Your business is only as successful as the people that work for it. Putting together a great team is a key area of focus when you’re starting out. Your business plan and the vision for what you want to achieve, should include the roles that you’ll need to recruit for and the skillsets that you’ll require from your employees. But a successful team isn’t about individuals. No matter how impressive a person’s career history is, you’ll also need to invest time in team building, to make sure that your employees work together towards your business goals. Even if you’re going it alone, contacts are still important in the business world. The difference between success and failure can sometimes come down to who you know. This doesn’t mean that you need to break bread with your rivals, but it will likely be advantageous to build up a network of fellow entrepreneurs, perhaps on social media or by attending industry events. Such contacts can be useful to share ideas with or perhaps turn to for professional assistance in areas where you lack the required skills. Delegation is an important part of running a business. It allows you to entrust various tasks to your employees which will free up time for you to focus on other areas of the business. However, when you’re a startup, it simply may not be possible to delegate the menial jobs when the company is in its infancy. Therefore, it’s important that the senior staff in your organisation are willing to muck in and get their hands dirty. By doing so, not only will you save money, but by getting involved in the basic operations of your venture, you’ll have a great understanding of your internal processes and know where improvements could be made. One thing that all businesses have in common, is that they all need to sell something to make money. Whether you’re promoting a service, a product or even a web page, you’ll need to get the attention of your target audience. Sales is an area that requires a concentrated effort right from the birth of your business. 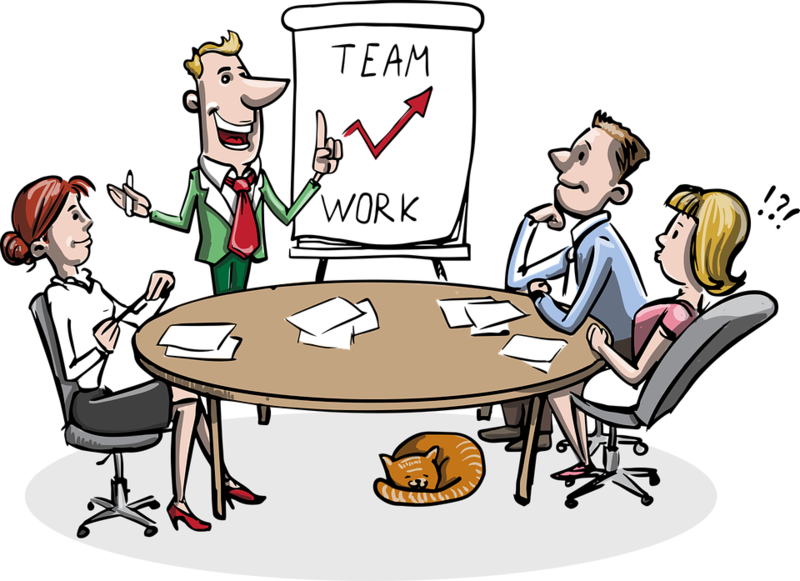 You need to know what you’re selling inside out; learn how to perfect your pitch and put your best sales team together to do so. 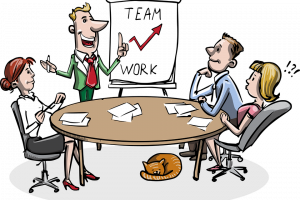 They need to be confident at presenting, whether it’s one-on-one or to a board of directors. Now that you know which areas to concentrate on, it’s time to readdress your startup strategy. Make sure everything is in place before you launch, or if you’re already up and running, then take immediate steps to course correct and ensure a successful business in 2018. 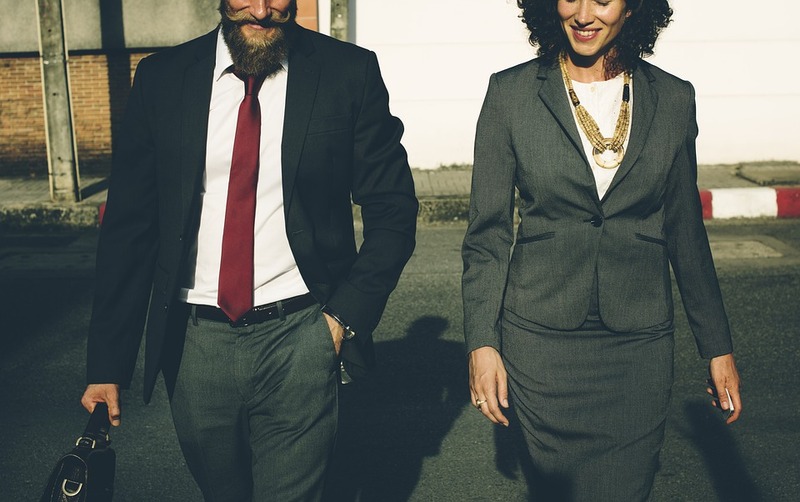 Whether you’re looking to commute or conduct business in Essex, there are plenty of suitable accommodation options to help you prepare for a meeting and unwind afterwards. Essex boasts an enviable position on the outskirts of the capital, yet is within easy reach of the East of England and the A1, M1 and M11 roads. As such, there have been an increase in start-up businesses and organisations who have relocated to the region. 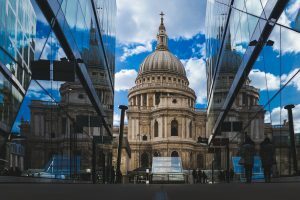 For those who are travelling either to Essex or into London for business purposes and want to arrange some comfortable yet corporate-friendly accommodation in the area, then here are some suggestions. Whether you’ve just flown in, or are due to be heading off shortly on a flight, Stansted Airport offers a wide variety of appropriate business hotels for your needs. You can choose from a selection of reliable 4 star hotels such as the Novotel or Radisson Blu which offer amenities such as gym access, upscale dining and a shuttle to the terminal. If you’re looking for a place to unwind after a long business meeting, yet with all the facilities you need to catch up on your correspondence, then Panfield House is a fantastic example of corporate accommodation in Essex. This self-catering hotel on the outskirts of Braintree is fully serviced and naturally has free WiFi which makes it ideal for business travellers. If you prefer to base yourself within easy reach of London, then Chelmsford is an ideal place to stay as it has frequent and fast services into the capital, leaving every 7 minutes during peak times and taking as a little as half an hour before arriving in Liverpool Street in the City of London. Chelmsford is a cosmopolitan and upmarket town and there are a wide range of hotels including the likes of Premier Inn, Travelodge or the Best Western Atlantic. Whatever your business accommodation needs are, you can be certain that Essex has you covered – enjoy your stay! Rise in population, better education regarding sanitation and pricing awareness has led to a forecast of 5% growth in the industrial cleaning product industry. The cleaning product market is expanding rapidly on a global scale. A market research report conducted by analysts at Technavio forecasts that there will be a growth of 5% in the industrial cleaning product market between now and 2021. This increase can be partly attributed to the rise in worldwide population figures, particularly in regions such as Asia Pacific. This area is the largest market in terms of both domestic washing and industry cleaning products, which is helped by the expanding populations of China and India. These emerging countries are closely followed in the industry by accumulative sales in North America and Europe. Particularly in developing countries, there has been a rapid rise in education about the importance of proper hygiene in the prevention of infectious diseases. Therefore, the increasing usage of cleaning products to concentrate on personal hygiene, communal hygiene and food sanitation has contributed towards the growth of the cleaning products market overall. Consumers are applying this knowledge and are paying additional attention to the safe storage of food, the sterilisation of meal preparation areas, and the thorough cleaning of bathrooms as well as other household surfaces. Buyers from all regions are also controlling the disposal of their rubbish and recycling materials with extra care. 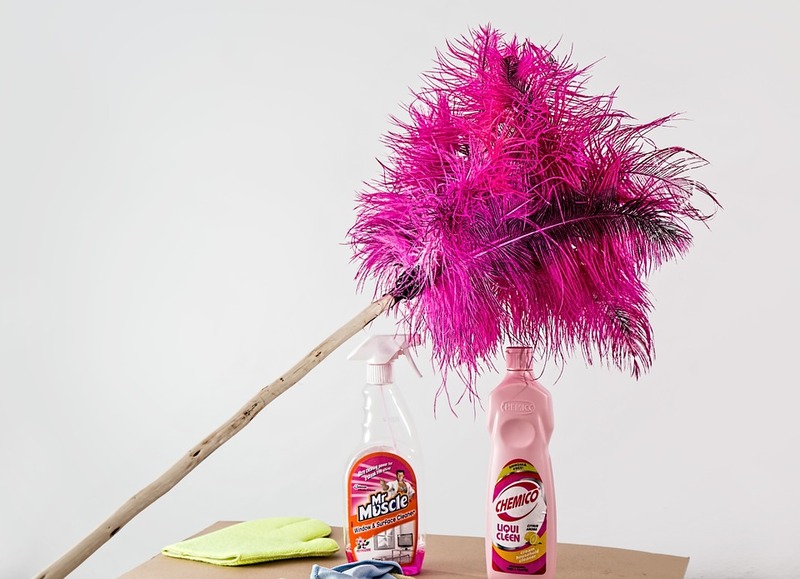 Even a small increase in the usage of cleaning products per family, can cause an explosion of growth in the cleaning product industry when looked at on a global scale. Many people have busy, fast-paced lives. Consumers don’t have time to use sub-standard cleaning agents to scrub away at surfaces, when there are products available that can get the job done in half the time. Individuals and companies alike are choosing higher quality brands that are more efficient. Continued steady economic growth in some areas means that more is being spent in the industrial cleaning market, and this is predicted to rise over the next four years. However, in developing countries, price is a determining factor over the efficacy of the product, as consumers have less money to spend. This doesn’t mean that there is no money to be made from this industry in these regions. However, cleaning product manufacturers will need to price their brand lines accordingly to gain a market share in these poorer nations. There are strict government regulations in many countries that can prevent the growth of the market from reaching its full potential. However, significant increases in research and development before bringing a product to market, are certain to see some incredibly innovative and advanced merchandise being introduced into the industry. This, coupled with the mounting interest in cleaning and hygiene tips, particularly within the healthcare sectors, mean that this industry is one to watch over the next few years. The food and drink market is more competitive than ever. 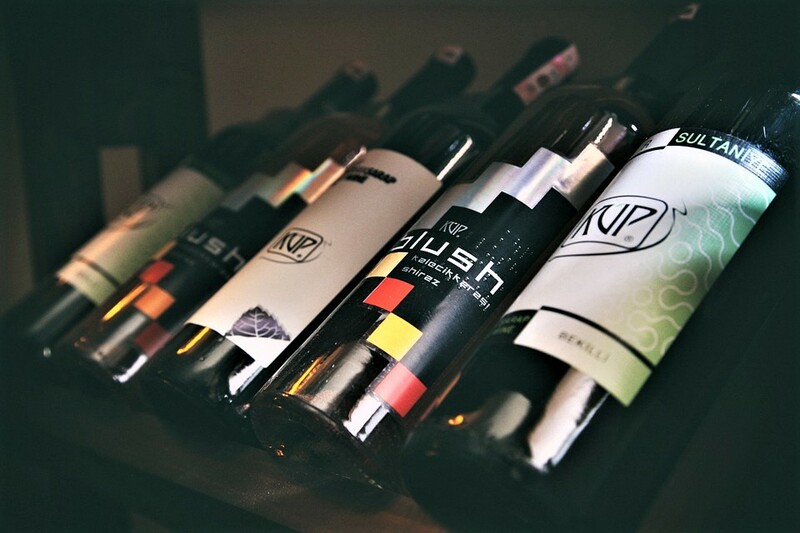 The design of the label could have a greater impact than you think on boosting sales. According to the UK Department for International Trade, there are approximately 10,000 new food and drink products introduced in the UK every year. As the market becomes ever more saturated, it becomes increasingly difficult to get noticed and steal a march on the competitors. Attractive packaging has always been an important part of the marketing mix that gets plenty of attention from designers and marketing gurus, as they work day and night to outdo the competition. Yet you might be surprised at just how important the clarity and design of your food label is when it comes to influencing buyer behaviour. Grenoble Ecole de Management is one of the top business schools and research institutes in Europe. Research conducted at the institute under the leadership of Associate Professor Caroline Werle suggests that labels that are uncluttered and easy to read win hands down over useful information and gimmicks in terms of increasing consumer purchases. Professor Werle carried out two in-depth studies that assessed the buying preferences of 584 participants. She asked them to consider a wide range of products, which she had previously mapped according to two parameters: Whether they were healthy or unhealthy, and whether the labels were easy or difficult to read. The results showed a marked consumer preference in favour of products with easy-to-read labels – in fact, this was the main deciding factor on whether the participants would buy a product or not, and was certainly of far greater influence than whether it was healthy or unhealthy. There are a number of possible explanations for this interesting result, the most probable being that a clear food label that is easily read makes for a straightforward, uncomplicated purchase decision. This in turn gives purchasers a positive overall reaction, and the subconscious idea that they will enjoy the product. These results have certainly raised some eyebrows among designers and marketers involved in food and drink labelling. If the “less is more” approach really has such a big impact on buying decisions, we could soon be seeing a whole new generation of minimalist label designs. However, it is not just the sales and marketing teams that are interested in these results. Regulators and health watchdogs will be quick to notice other implications that could also have an impact on the industry. Specifically, the evidence suggests that a clear, easily read label is more likely to make consumers think they will enjoy a product, even if it is unhealthy. It is no great leap of logic to conclude that a healthier alternative with a more detailed, and therefore less clear, label, will actually turn potential buyers away by providing more information as to its benefits. 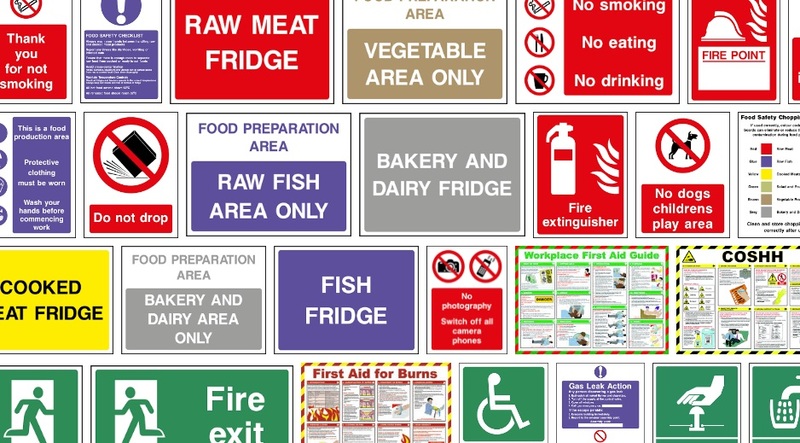 If this is the case, then regulations that standardise all food labelling could be closer to reality than we think – however, there can be little doubt that a great deal more lengthy and detailed research must be carried out before such a step receives serious consideration. Points to consider when starting and growing a cleaning business. Assessing the market and marketing, considering franchising and ways to expand and diversify. “Where there’s muck there’s brass” is an old saying very appropriate to the cleaning trade. It’s a huge industry with one national franchise operator estimating it to be worth in the region of over £2.8 billion a year; it’s an expanding industry with no signs of a slow down. Indeed, with more people having less time, albeit with more income, many domestic chores are being sub contracted, with cleaning high on the list. 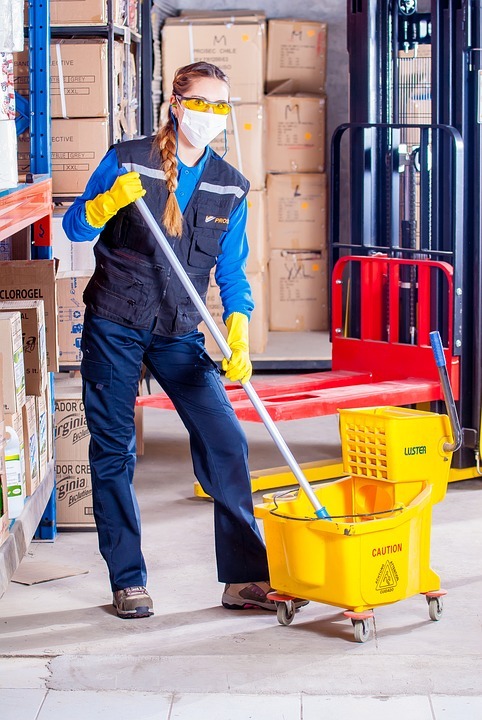 Commercial cleaning is booming, too; the need to comply with ever more stringent health and safety requirements means cleanliness levels in the workplace must be of a high standard. There’s scope for newcomers to the industry; some research undertaken amongst householders revealed that, of those who don’t use an outside house cleaner, some 20% say it’s simply because they can’t find one. 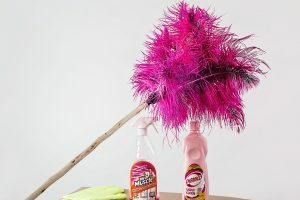 Competition is rife: there are many involved in cleaning, from one person doing it part time for a handful of friends’ houses, to major national companies operating through a franchise model. Demand: can people in your locality afford a cleaner? Assuming you’d look to start locally, check if there are potentially enough households to be your customers. If you’re leaning more to offering commercial cleaning, are there enough businesses of the right size locally? Be aware that larger businesses probably use an established, specialist commercial cleaners and may not consider using a startup. Smaller businesses might though. Set prices carefully: research the competition by posing as a potential customer and asking for prices, and maybe ask a few friends to do the same. Budget carefully: while initial costs can be low, you’ll still need to invest to a degree – and don’t overlook marketing costs. Looking professional will be a big help so properly printed flyers and business cards are basics. Online presence – a website is worthwhile and adds credibility. It needn’t be expensive. Also set up a Facebook page for your business. Branding – not restricted to multi-million corporations, good branding and a business identity will help you to establish and grow your business. Logos and a consistent typeface you use in your printed materials is a good move – and good quality designs are available very competitively priced online through freelance sites such as Fiverr. Once you grow a little, branded clothing such as polo shirts and so on can reinforce your professionalism and joining trade organisations requiring a certain standard from its members shows competence. If the idea of setting up from scratch doesn’t appeal and you have some money to invest (or can borrow some) then the franchising route may appeal. Along with the initial costs there are usually further fees to pay in the form of a share of your profits along with maybe having to buy certain items such as marketing materials through them or their suppliers. You may find it attractive from a business ‘done for you’ point of view, but you’ll still likely have to find your own customers. The franchisor should help with marketing support in terms of printed materials, maybe a centralised mailing campaign and online help such as providing you with a website. It’s tempting to focus on price especially when starting up, but this isn’t the best course to follow. In most businesses there’s always someone willing to ‘do it for less’ and it’s important to have a business that makes a realistic profit. Once your business gains some momentum, you’ll require support from professional suppliers and service providers. For example, you’ll need access to and fast delivery of supplies and equipment, so choose a supplier of professional cleaning products carefully. There are no specific licences or stipulations required to start a cleaning business, but it’ll show professionalism and put your potential customers’ minds at rest if you undergo a DBS (Disclosure and Barring Service) check. If you go on to employ others at some stage, then getting them DRB checked will be worthwhile. If you start off providing domestic cleaning you may be happy simply expanding your customer base and recruiting more cleaners as business grows. Alternatively, you may seek to move into other areas – maybe offering commercial cleaning services – or operating in certain niches such as carpet cleaning. How you grow and maybe diversify will likely be informed by what your local market needs. As you become known and knowledgeable about the local market conditions, maybe you’ll be aware that people are crying out for good carpet cleaners and it’s an under-served market, for example? 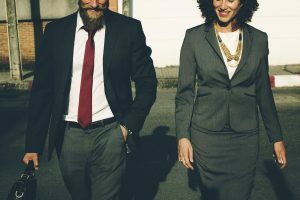 You may prefer to be more of a manager than a hands-on cleaner in time, so might look to expand to the point where you’re recruiting and running a team of cleaners. Starting any business is tough of course, and a cleaning business even in a high demand area takes some hard work. The low barriers to entry often mean many individuals and one or two person startups ‘have a go’ so you’re up against them along with the established local and national companies. After a while though, if you build a solid reputation and become established then you could have a profitable enterprise with interesting possibilities for expansion and diversification. Is Golf The Next Business Team Building Trend? When people think of golf, they often think of it being a ‘self-centred’ game with one person playing against many others. This view may be influenced by the amount of big ‘singles’ competitions such as the US and British Open that are part of the four major tournaments played each year with one person beating the field to win. That said, golf can be a team game – witness the USA versus Europe Ryder Cup played every two years – and it certainly can make for a very sociable gathering. There are many corporate golf days and charity events, so golf lends itself to team building days. A day out in the fresh air, and various ways of competing including team configurations such as a Texas scramble, turn the game into a genuine group activity as opposed to ‘singles’ play. To top things off, there’s often the chance for everyone to get together at the end of the day’s play for a drink or maybe a meal. The only drawback is that golf can be enjoyed better by those who play at least occasionally. It’s maybe not a game non-golfers can enjoy beyond crazy golf or pitch and putt level, and there’s the need for participants to be suitably equipped. 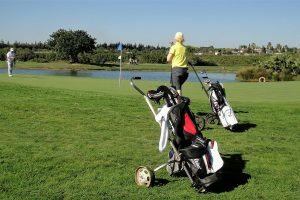 It’s not just the golf clubs (which can probably be hired), but other essentials such as proper footwear, as many golf clubs won’t allow people to play wearing trainers or similar. Many golf clubs also stipulate some type of dress code that must be adhered to on the course and possibly in certain areas of the clubhouse. For a group of people who are all keen golfers, what better way to help team build and enhance morale than taking to the links for the day? If, however, not all the team play then taking a look at many other team building activities may be preferable and appropriate for a more diverse group of people. Finding a golf club in London that may be happy to host possibly a large number of novice golfers may prove difficult in any event. Many might insist on players not only possessing a valid playing handicap, but one no higher than a certain level. Getting ideas from a specialist organiser for a corporate team building event in London is an ideal first step. Choosing an activity that will appeal to your mix of personnel is key to everyone having an enjoyable time along with something appropriate to the time of day and year. For example, a casino evening or a murder mystery might be just the thing for a winter’s night whereas a GPS treasure hunt or an ‘It’s a Knockout’ could be a great idea for a summer’s day. A time honoured quiz is always fun, but expert events organisers often offer more than just a bunch of questions on a list. Interactive rounds using video and various options to tailor the quiz to suit the number of people and the time slot can be created. A bit of fun mixing (literally) with something creative and mildly competitive can be achieved with a cocktail masterclass. Your people split into teams and, with the help of expert mixologists, create their own cocktail and compete with other teams to see who comes up with the most appealing drink. Activities inspired by successful television programmes such as ‘The Apprentice’ and ‘The Great British Bake Off’ can be undertaken to help your people have fun and cooperate in a team environment, as can a series of pub games. Everyone splits into teams and completes a circuit playing a variety of pub style games while totting up their scores on each and seeing how they fare against their colleagues in other teams. Rather than simply organise an office party or take staff out for a Christmas meal, team building activities run by expert organisers can be given a festive twist if desired. While golf is certainly a popular team building activity and has long been a favourite corporate entertainment option, the innovation in team building and corporate entertainment in the hands of a professional events organising company means there’s much else to choose from whether in or outdoors. Comments Off on Is Golf The Next Business Team Building Trend?